E Entertainment Television talk to the Kardashians. Check out what the Kardashians have to say about Kim’s engagement and other family matters..
1. The big news within the Kardashian family is Kim’s recent engagement. Kris please shed some light for us on how you were involved in this along with the glitter and horses? Kris: It was really exciting. I knew a couple of days before that he was actually going to propose, but nobody else knew, the rest of the family didn’t know. So I decided to have a dinner party afterwards so that she could break the news to her sisters, and the rest of the family. One of the things he said was that he had fantasized if he ever had a big party like that he wanted to have miniature ponies, kind of like how Nicole Richie wanted to have an elephant at her wedding. It was just that he had that fixation and this was what he wanted, so I got on the phone and got some ponies. Khloé: I kind of question the whole situation. really happy and he’s really great, so we’re all really happy. Kim with her new hubby, Kris. 2. So you have horses on speed-dial? Kourtney: We do live in a horse community, so I think they borrowed them from the neighbors. Khloé: Only for my mom! No one else calls me Bunny and I don’t want anyone else to start calling me that. I don’t know why my name is Bunny, but thank you, Mom. Kris: Well it’s because you were so cute when you were a little girl. But anyway, “Happy Birthday Bunny” went on the cake, and it was delivered and I had to throw away the plaque and it was so funny, you had to be there. 3. Since we saw Khloé’s wedding, will we see another wedding on the show? If so, how much will we see of Kris (Humphries) and Kim’s wedding? Khloé: You’ll see Kris more in the end of the season because he lives in New Jersey and plays for the Nets, so at the end of Keeping Up With the Kardashians, definitely Kris is in the show and the whole engagement, which is really cool. It is also up to Kim how much they show. Kris: We haven’t gotten that far ahead yet. Kourtney: One step at a time. 4. Is the pressure off now that Kris and Kim are engaged and has the media stopped asking you guys about babies and engagement rumors? Kourtney: Yes, I said I bought myself a lot of time. Khloé: Yeah, I pray no one says anything. For a minute, you can leave us all alone. 5. There are hints that both Kourtney and Khloé would make great bridesmaids, do you all talk about Kim’s wedding? Khloé: There’s definitely a wedding on the show. Kourtney: Yes, there are two weddings in Season Six. Khloé: But honestly, with Kim we haven’t had time to talk about any details about the wedding at all. She just announced that she’s engaged. Kim and Kourtney were both my bridesmaids and maid of honor at my wedding, and I feel like you can’t pick and choose, if she does then that’s shady. Khloe and Kourtney to be their sister's bridesmaids? Kourtney: That causes a war.A Conversation With the Kardashians For Premiere of Keeping Up With The Kardashians Season 6 Conducted by E! Entertainment L.A.
and Scott. Tell us how have things been with you both lately? Kourtney: Everything’s going pretty good lately; it’s so fun to be with Mason as he gets older. Scott’s into dirt bikes and has all these motorcycles in the garage. Now that Scott has all these cool toys for Mason to play with, he gets so excited. Also as Mason is getting older and engaging and talking more, he’s really enjoying it a lot more. It’s really fun to watch their relationship grow. Kourtney: But we’re just taking everything one day at a time. We definitely have days when we have our fights or when we’re not in the mood to look at each other. But that’s part of relationships. Kris: We all have that from time to time. Kourtney: But we love it. 7. Tell us about the new book and also the possibility of involving the fans in naming of it? Kourtney: We’re actually writing a novel – the three of us are going to write a novel and the fans are going to help us title the novel. It’s fictional, but the stories will come from real-life experiences we’ve had. Khloé: But they’ll be over exaggerated. We had so much fun doing Kardashian Konfidential and it was such a great process to work together and to do something like that. At the same time to see the reaction we got, we’ve never experienced something like that before. It also helps that we are all big storytellers. Kris: Trust me, they are. Khloé: We can just make up the craziest scenarios. But more than that, this is just something that’s really fun for us and it’s great that we can involve the fans, and it’s also a way for us to be creative as sisters. 8. There is an interesting dynamic to the relationship with Kris, being your mom and the same time manager. What’s the best advice your mom has ever given you? Aside to Kris, which business advice or token do you really stand by that’s really important to you. Khloé: I think when the show first started people thought we just slept all day – or I don’t know what they thought we did. Kourtney: Some thought we shopped all day. She’s always forced that in me and now, I love that because I don’t want to sleep in all day. A lot of my friends sleep till 1:00 p.m. and I think it’s gross. She’s always taught me to be prompt and never late. Its little things that I think are so respectful to other people, and in business I think it shows a lot of respect to them. So even though it’s just common everyday stuff, I have a lot of friends whose parents didn’t teach them things like that – and this makes you a better businesswoman. A lot of people I take meetings with arrive ten minutes late and I’m like, “I really don’t want to do business with you.” If you’ll be ten minutes late on that, you’ll be ten minutes late with the check. 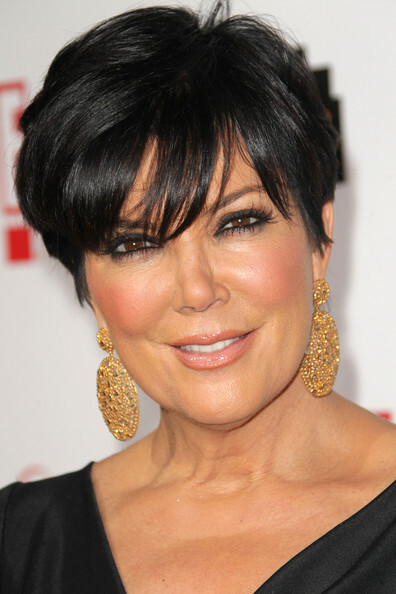 Kris: I just think the girls have amazing work ethics that you just can’t teach somebody. I can come to them with the greatest idea in the world, but if they don’t follow through or they don’t do their best at it then it won’t work. I couldn’t ask for a more perfect situation – they’re great. And my motto’s always been: if someone says no, you’re talking to the wrong person. So I try to instill that in the girls and they work really hard and deserve everything that’s happening to them. 9. How do you all manage to find the time together outside of business to come together for a family dinner every Sunday night? Khloé: I think that’s the hardest part about growing older and having our own families and schedules. 90% of the businesses that Kourtney, Kim and I have are together. When you work so much together and eventually do have a couple of hours off, sometimes you want some alone time. But some of us in the family definitely miss our Sunday dinners. Kourtney: We were raised that family is first and work comes second. Kourtney: That’s definitely my motto with Mason. Kris: And mine too. Khloé: That comes first, and that’s mine with Lamar, too, and Kourtney with Mason. But now it’s hard because we all have our own families, but we still have to remember the main family. 10. There really are a lot of things going on with you Kris: mom, manager, reality TV star and businesswoman. There are so many layers here, how do you separate them? Kris: Well, I wear a lot of different hats, for sure. But I think the most important one I have is… Kourtney: Which is your favorite hat, the Mom hat? Kris: Mom. Khloé: I would never think that would be your favorite hat. Kris: It is my favorite hat. Khloé: I would never think that, I would think manager for sure. Kris: You guys just don’t understand the stress. Kourtney: What does the Mom hat look like? Is it a beret? Kris: It’s very warm and fuzzy and it’s not a beret but like a hat with flowers. Khloé: Is it an ice sculpture? Kris: Oh my God. How did I end up like this? Kourtney: That’s what I’ve been asking myself for years! Khloé: That’s why you got that big rock on your finger, because we’re paying you to do stuff for us. Kris: I know, right? Isn’t it great? It’s like you’re inside an episode of “Keeping Up With the Kardashians” isn’t it. 11. For you girls we all know, there is nothing real about reality but then, how does it work, do you step away, off camera and say ok, next week we’ll do this. Kris: We are one of the few shows that don’t have scripts. We don’t have things that are preconceived or that we’re going to do this or do that. But I think I’m blessed with a family with no filter, even if I gave them something to say. Khloé: I think the reason why our show really is purely real is that we film seven days a week, a minimum of twelve or maximum of eighteen hours a day. That’s as real as you can get. But it’s also because most reality shows aren’t real family members – we are a real family. Kris: And there’s so many of us. You have a show and then you add a few kids and that’s fabulous. But I think that the audience loves that they can find something to love and relate to in each and every one of us. In that way we’re so different. 12. We are all very excited about Kim’s engagement and in an upcoming episode of the new season, he (Kris Humphries) burps in her face. This was interesting because how can you let that happen and say “yes, you can get hitched to this guy? on her show. But Kim’s so freakin’ cute that she can do it. Khloé: But you know what, I’m going to give him props. Because, when I got married, I knew my husband for 30 days before we got married and he did not start doing the body noises until after we were married and I was like, “Oh, what are you doing?” He’ll just pass gas and be like, “Haha, sorry” and it’s on my show (Khloe & Lamar) if you watch my show. Kris: What! Kourtney: I’ve seen it. Khloé: But it’s like you’re married and that’s what obviously normal bodies do, they make noises – but to burp and do all that before you’re engaged, that takes guts. Khloé: At least they still want to get married after that. Kris: He makes her happy, she’s adorable, and they’re really cute together. And he is very, very funny and I think one thing not everyone knows about him is that he’s got an amazing sense of humor and is a prankster – so he’s funny and cute. 13. Let’s cover the Twitter world and questions from the fans – Who likes fame the most? Kourtney: Kris and Kim – no, Kris, for sure. Khloé: Well, she beats all of us. Kris: Oh, ok thank you. 14. Do you agree with this Kris? Khloé: Trust me, wait till you see the show. In Season 6, you’ll realize how much she loves it, how much she’s willing to do some major changing of things to pick her fame. Kris: Okay… next question. 15. Who gets the most free stuff? Kris, Kourtney & Khloé: Kim. 16. Who’s the moodiest? Khloé: Robert. Kris: I think its Robert, and second place is Khloé. Khloé: I would think so, yeah. Khloé: I get very moody, but I get very overwhelmed easily. And they don’t know what else goes on, so I wear my heart on my sleeve. So definitely, I am moody. I might be moodier than Rob. Kourtney: Yeah, you are. 17. Who takes the longest time to get their make-up done? Kris, Kourtney & Khloé: Kim. 18. Who spends the most? Kris, Kourtney & Khloé: Kim. Khloé: Like, every second, you should have heard the interviews before. I’ve heard the same stories like twenty times before and it had nothing to do with us, just name-dropping. You’re getting it today, Kris, aren’t you? Kris: I know, it’s like every day. 21. You are all inspirations to women out there, is that something you are all aware of and does it make you feel like you have to act in a certain way? Khloé: To be honest, when we’re working on our TV shows and we film, I’m not concentrating on 5 million viewers that are going to tune in. I don’t ever think about that. I think that’s what makes us so honest. I also think the only thing that I am conscious about being an inspiration to people for is my body image. People always come up to me with positive feedback on dealing with the criticism I get. This is who I am, like it or not. I always get so much support that it gives hope to young girls and makes them feel comfortable and confident about themselves. That’s the one thing that I genuinely love because when I was a kid, I never thought being any size bigger than a 0 or 2 was acceptable, and that’s because it was what everyone around me instilled. So I’m glad when young kids are comfortable with their body image. I really do take that seriously and to heart. Kourtney: I am really proud of our stores and our clothing lines – and all of the work that we do. I would like to think that is showing people out there to follow their dreams, especially those who want to be in fashion. Hard work is how they can really make their dreams come true. Khloé: When Kourtney and I opened our first Dash Store, we had no idea what we were doing We did everything on our own for three years and did not have one employee – we just figured it out. Kourtney: And Bruce built the dressing rooms for us. I remember he went to Home Depot every morning to help build the store really. Khloé: But it’s crazy because this was always our dream, to have clothing lines, and we started there, not knowing one thing, and learning. Now, we have our own clothing line for Sears coming out. Kourtney: I would say the one thing that people ask us a lot is, “it’s always been my dream to open a clothing store. How did you open yours?” I like that we inspire people in that way. 22. Bringing it back to the upcoming season premiere, it seems that there are more conflicts brewing between the business and the family. You’re all obviously becoming more famous and wealthy, and there are cracks showing especially when it comes to priorities. Kris: Well, I tend to lose myself in my work, and that makes me very happy. I love being able to take something, whether it’s a project we’re working on or starting from scratch, and building it into something. It’s even better if I can get the girls to jump in on it, because their work ethic is just amazing and just having to grow whatever it is, that we’re working on till fruition. I do get lost in all of that, and so sometimes I do get very obsessive about things. But whenever I get like that, I have to be reminded, “Mom, come back down to earth, it’s time for a family dinner.” It’s time to get back on track with the family. Whenever I lose myself in work I would need a reminder like that. Khloé: I think Kourtney takes it the most personally. Maybe because I’m married and she has a baby – Kourtney and I, we put family first and we want that always to be our focus. All you have is family and money can come and go – you just never know. But family is what really matters. Khloé: People always want to schedule me, but I make Lamar my first priority – and then I work. The same like how Kourtney makes Mason hers, that’s just how we are. Family is what we are raised on and will always come first. Kris: Well you know that family is where my heart is. Family first – thank you ladies.